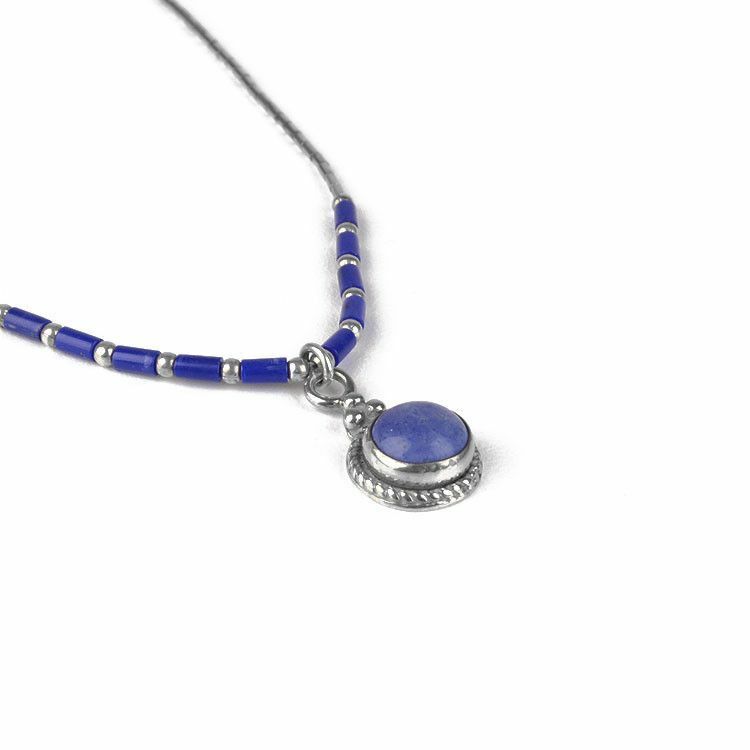 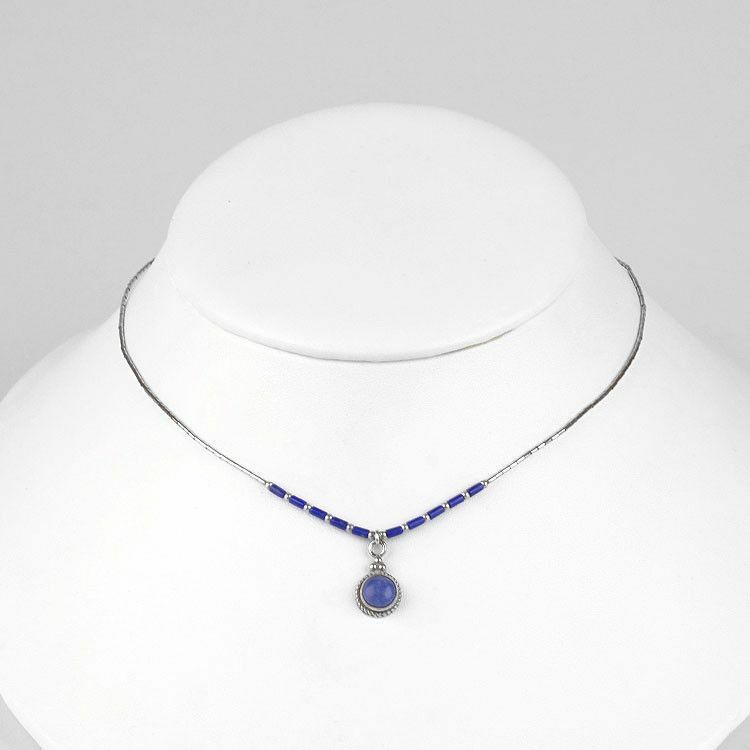 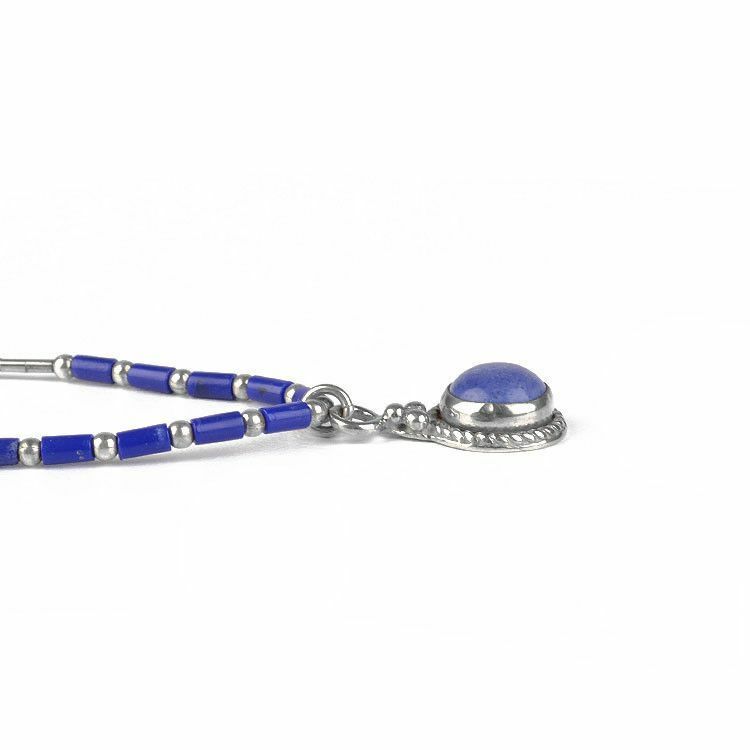 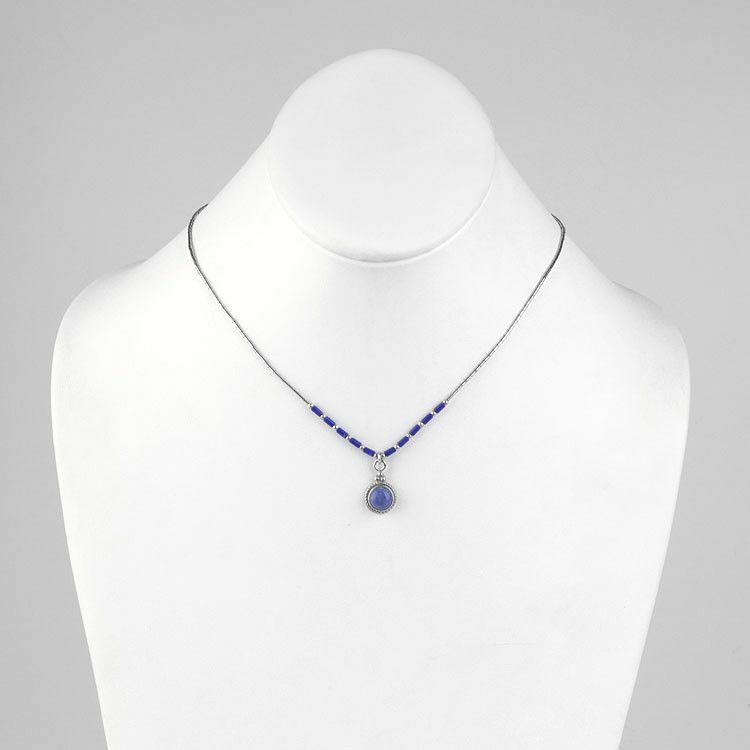 This darling and dainty necklace features a round, small blue stone, a genuine lapis lazuli gem, (about 1/4" in diameter) set in a rope of sterling silver and hung from a beaded string. 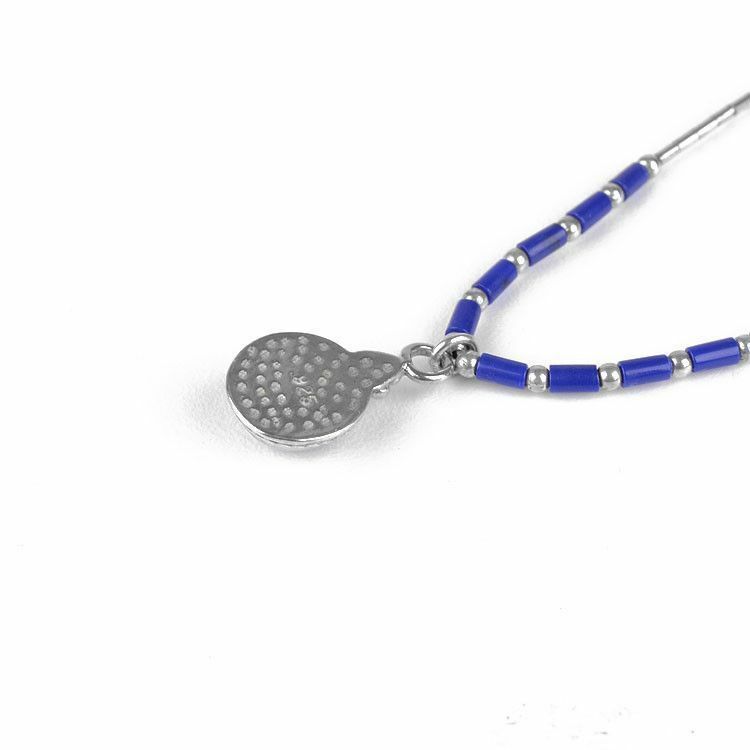 Blue rectangular beads are mixed with round silver beads in the front, and towards the back are many silver rectangular beads, which look like liquid silver. 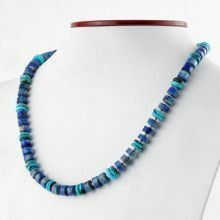 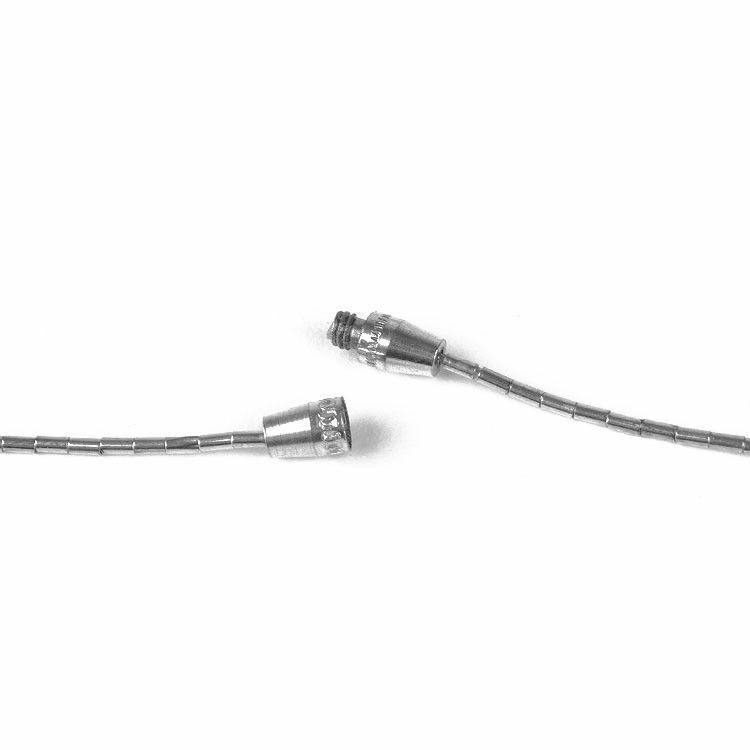 A barrel screw clasp completes this lovely necklace that is great to wear for everyday; with jeans or with a dress!